Enrique G. Valladares of Arbuckle, California, passed away on July 5, 2018. He was born on May 28, 1939 to Enrique and Elvira Valladares. Enrique was a Farm Laborer for 40 years and enjoyed fixing up his house and gardening. 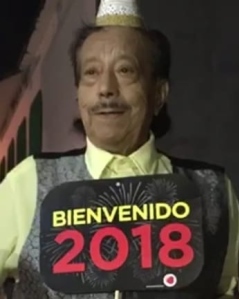 Enrique is survived by his loving wife of 52 years Aurelia Valladares, sons: Enrique (Seidi) Valladares, of Sacramento, Lauro (Joy) Valladares, of North Carolina, Miguel (Marcela) Valladares, of Colusa, Daughter: Elvira (Harold) Rosa, of Elk Grove, Brothers: Rigoberto Valladares, Cesar Valladares, Sisters: Maria Ilse Valladares, Ruth Valladares, Noemi Valladares, Ofelia Valladares, 13 Grandchildren, and 8 Great-Grandchildren. He is proceeded in death by his parents Elvira Valladares, and Enrique Valladares. Visitation will be held 5:00 -8:00 p.m. on Wednesday July 11, 2018 at McNary-Moore Chapel 107 5th Street, Colusa, CA 95932. Mass will be held at 1p.m. On Thursday, July 12, 2018 at the Holy Cross Catholic Church, 412 Laurel St. Arbuckle, CA 95912. Burial will follow at the Arbuckle Cemetery. A reception take place at Enrique and Aurelia's home 11 Midway Avenue Arbuckle, CA 95912.